Here is a list of product releases and updates for late July from companies that offer services to online merchants. 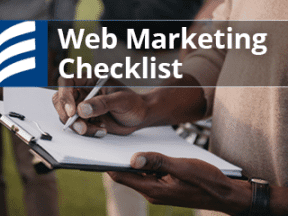 There are updates on video search and listings, shipping, tax collection, and small business financing. eBay enhances visual shopping with improved image search feature. eBay introduced image search last year for desktop browsers. 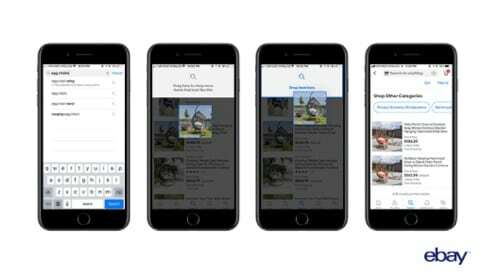 Now, users can explore the marketplace further by dragging and dropping images into the search bar while shopping on the mobile app. The visual shopping feature is powered by artificial intelligence, using convolutional neural networks to process images. When a user submits an image in the search field, the neural network converts the image into a vector representation. Then, the representation is compared against more than 1.1 billion live listings in eBay’s marketplace. Finally, the best-matched items are ranked by visual similarity. Farfetch acquires CuriosityChina, a digital marketing agency. Farfetch, an ecommerce startup the works with high-fashion boutiques and brands to sell apparel, is acquiring CuriosityChina, a digital marketing agency that specializes in leveraging social media, particularly WeChat. CuriosityChina will be incorporated into Farfetch’s “Black & White” white-label API, which allows boutiques to integrate their stock into Farfetch’s purchasing and logistics platform, or use that engine to sell its goods on their own sites. ShippingEasy integrates with Wish marketplace. 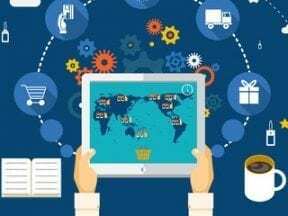 ShippingEasy, a provider of cloud-based shipping, inventory management, and customer marketing solutions for ecommerce sellers, has integrated with Wish, the most downloaded U.S. shopping app and the sixth largest ecommerce company in the world. Offering a convenient and personalized mobile shopping experience, the mission of Wish is to provide an unlimited selection of affordable quality goods on a global scale. With the partnership, Wish integrates directly with ShippingEasy, enabling its customers to automatically download and track orders, and print shipping labels with the best shipping rates, all in one place. 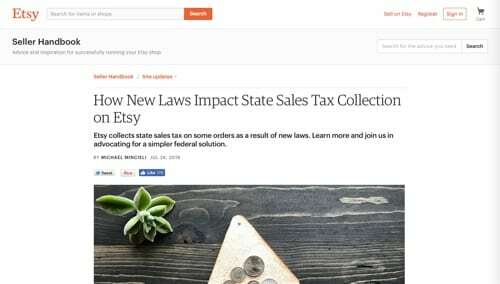 Etsy clarifies its state sales tax collection obligation. In its Sellers Handbook blog, Etsy explained how recent tax law changes have affected how Etsy handles sales tax. Etsy is currently calculating, collecting, and remitting state sales tax on all orders shipped to addresses in Pennsylvania and Washington state. Etsy also started collecting and remitting state sales tax on orders shipped to Oklahoma on August 1, 2018. Etsy calculates the state sales tax rate for the shipping address, charges the buyer, and sends the tax owed to the state. In addition to clarifying other aspects of state tax collection, Etsy encouraged its merchants to join its advocacy efforts for a federal solution that harmonizes and simplifies sales tax for online purchases. eBay and Square Capital team up to provide eBay sellers with greater access to business financing. eBay and Square Capital have announced a new partnership that will enable eBay’s sellers in the U.S. to access funding that can help them grow their businesses. Square Capital will provide eligible eBay sellers with a simple and transparent funding experience. Sellers may be eligible to receive up to $100,000 in funding in as little as one business day. Select eBay customers will begin receiving email invitations to apply for a loan through Square Capital in the third quarter of 2018. eBay and Square Capital will work together to market Square Capital directly to eBay sellers. Square Capital will assess eligibility and risk, and determine appropriate sized loan offers by taking a holistic view of an applicant’s financial profile. Sellers ring over $1 billion in Prime Day 2018 sales. Despite the technical issues that prevented shoppers from being able to browse and buy, Amazon reported that 2018 Prime Day sales for small and medium-sized businesses exceeded $1 billion. Best selling items included Fire TV Stick, Echo Dot, Fire 7 tablet, Instant Pot, and the Lifestraw Personal Water Filter for Hiking. Prime Day 2018 lasted 30 hours starting on July 10. Ecommerce platform GearLaunch now available via Shopify marketplace. 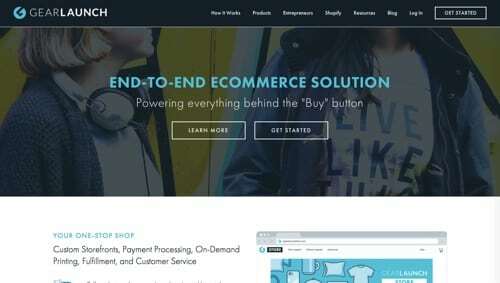 GearLaunch, an exchange-to-exchange commerce platform, has announced the general availability of its Shopify application, making all GearLaunch features and functions available directly from the Shopify ecommerce app marketplace. The integration grants one-click access to GearLaunch’s global supply chain and operational support capabilities, including customer support for buyers. All Shopify merchants now have access to GearLaunch’s array of curated, print-on-demand products and backend support services such as customer service and global supply chain logistics. Amazon launches app sign-in promotion. Amazon shoppers who want to try Amazon’s mobile shopping app for the first time can get a $5 promotional code off their next qualifying $10 order by signing into the app by August 31, 2018. Products sold by third-party sellers or other Amazon entities will not qualify for this offer, even if Prime eligible or fulfilled by Amazon. Arcules launches Intelligent Video Cloud platform. Arcules, a provider of video-cloud internet-of-things-as-a-service technology, has announced the launch of the Arcules Intelligent Video Cloud platform. It aggregates and analyzes previously untapped video surveillance and IoT sensor data, identifies trends in that data, and applies predictive analytics to help businesses optimize operations and improve safety. Using the Arcules solution, businesses can access these insights anywhere and from any device in a streamlined, centralized platform. Letgo introduces Reveal technology and video listings to help millions sell their extra stuff. 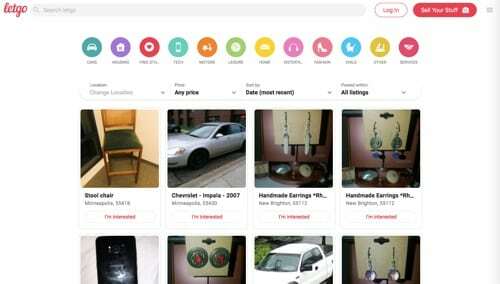 Letgo, an app to buy and sell locally, has introduced Letgo Reveal and video listings to transform the idea of a secondhand marketplace. Reveal combines real-time image recognition and other artificial intelligence to instantly display an item’s estimated value and other details on screen when a user simply points a smartphone camera at it. Video listings enable people who have downloaded Letgo’s free app to add short clips to listings to showcase anything from sneakers to a mountain bike. Reveal and video listings are both available to Letgo users in the U.S.